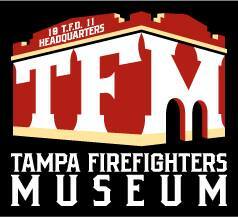 The Tampa Firefighters Museum is a very small museum and is located directly adjacent to Tampa Fire Rescue Station One at 720 East Zack Street in the heart of downtown Tampa. This beautifully restored 18,000 square foot facility stands as a tribute to all those who have served and continue to serve our great city. Admission to the museum is free and it is open to the public from Tuesday-Saturdays from 10am-2pm. The Tampa Firefighters Museum’s vision is to preserve the rich history, culture, and significance of the Tampa Fire Department by sharing real-life events, exhibits, and life safety education while ensuring our future by encouraging the next generation to pursue the fire service as a profession.